The Trip Leader and the contact email address has changed for this trip, but the trip is still going ahead as planned. Please contact Ben for further information. This trip is focused on giving climbers new to leading on natural gear the opportunity to climb together at Mt Arapiles. Ideally suited to the Learn2Lead Course participants from previous courses, as well as others new to trad leading. This trip provides opportunities for the development of your trad leading at one of the best crags to lead on natural gear. Great rock, stunning climbs and bomber gear placements – what more could you want? Well, the weather in early December should be magnificent! This trip is suitable for Advanced Climbers, as well as Intermediate Climbers who are starting to lead. This trip is about taking the next step and placing natural gear on lead. As trip numbers are limited, please contact the Trip leader, Marilyne, to secure your place. 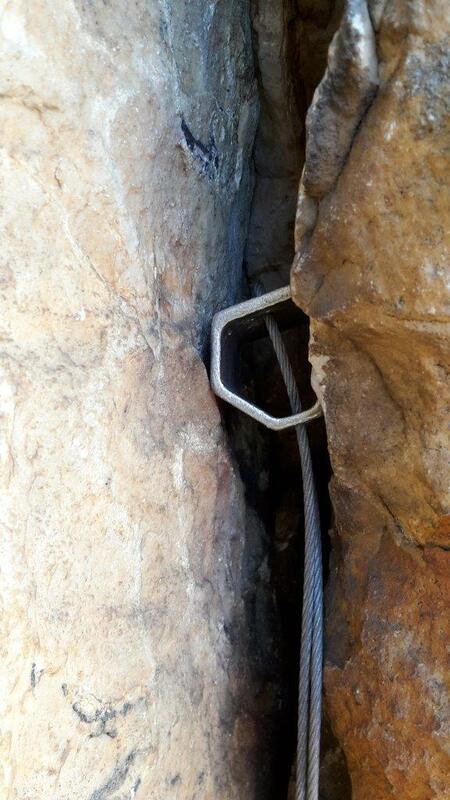 This trip is NOT suited to beginners or climbers not prepared to lead. There will be no top-roping! 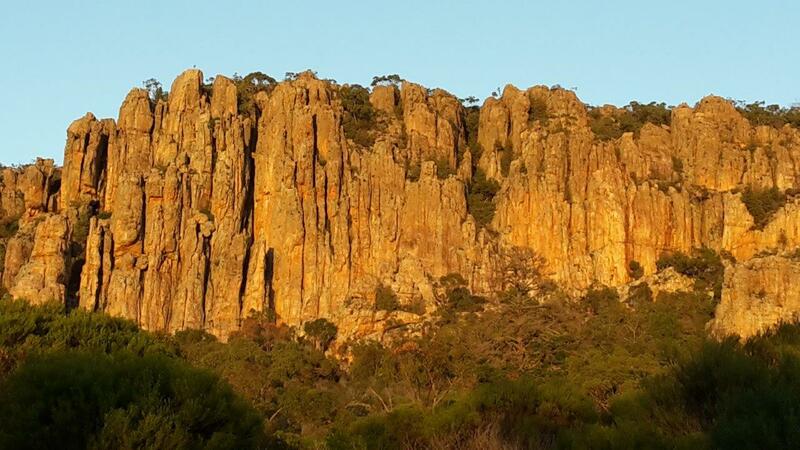 Photos: Sunrise over The Organ Pipes, Mt Arapiles and a Hex Placement.